Hey everyone! I know it is Monday and that can be a drag, BUT I would like to share with you songs that I love. 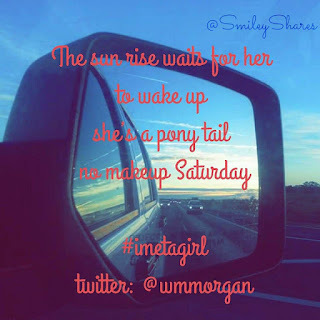 If you follow me on Instagram you know that I have a Hashtag (#) for each day. I try to find songs/artist/videos for these tags. Here is a recap of what I posted this past week. Hope you enjoy. Also,click on the artist Twitter Handle to give them a follow. Click the song name so you can buy the song. #MusicMonday went to @BrettKissel and his song 3-2-1. It was a song I heard a couple of months ago and had completely forgotten about. It wasn't until his new single Airwaves was released that I went back to give his whole music a listen. Thank you Spotify! I decided to purchase both singles from Itunes, since actually buying the music helps the artist. Well, I want to hear more of him. Go ahead, give this Canadian Country Music artist a listen. Let me know what you think. So this week's #TuesdayTune was "I met a girl" by @wmmorgan. I picked this song not because I of a nice conversation that William and I had over coffee this past Monday (through twitter).The first time I heard the song I actually had to stop what I was doing. His voice was different to what had been playing on The Highway at that point. It definitely caught me off guard. I listened to the rest of the song and loved it. So as some Sam Hunt fans may know, this song was written by Sam and in occasions sung by him as well. I gave Sam's version a listen. I like to hear when writers perform/sing their own songs, usually that would be the version I prefer. This was not the case. Not because Sam's version was bad, it just didn't have the same impact on me. If you have time I highly suggest to listen to both, and share your opinion with me. If you like the version by William Michael Morgan request it on @sxmthehighway don't forget to use the #highwayfind tag. Also buy it on ITunes and Follow him! #whattowatchwednesday- @hellojthodges finally released the official Music Video for "Raybans" a fun summer song, about the potential "one" that got away. She also happened to take some very expensive shades with her. Hopefully those are okay. Give the video a watch. If you enjoy the song itself make sure you listen to his whole EP. You may see some of those songs here in the future. Let me know what you think. 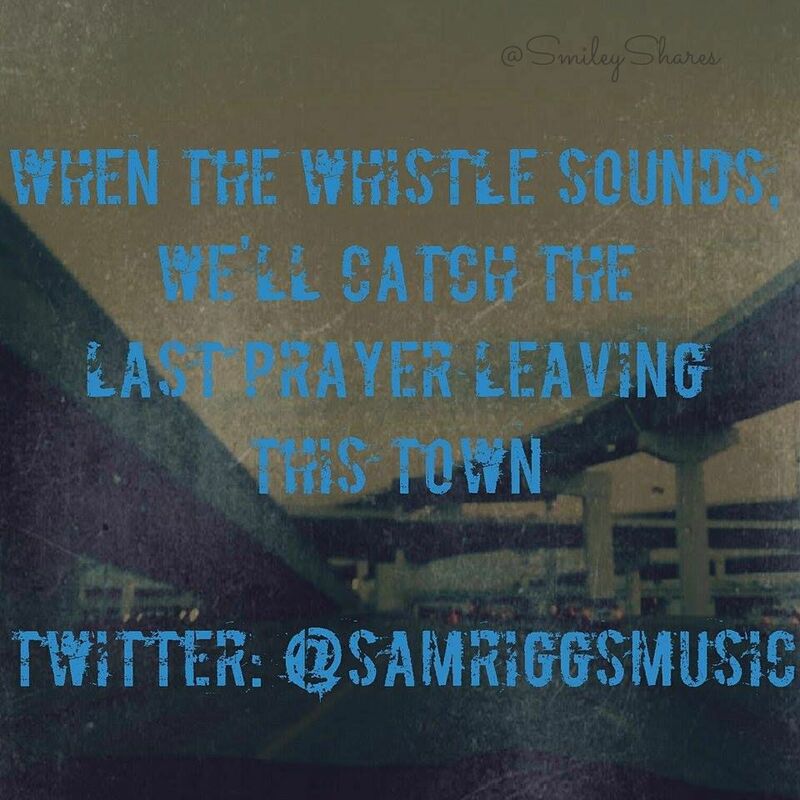 I shared my #TexasMusicThursday artist late in the day, but it was @samriggsmusic. The song of his that I picked was "The Last Prayer". 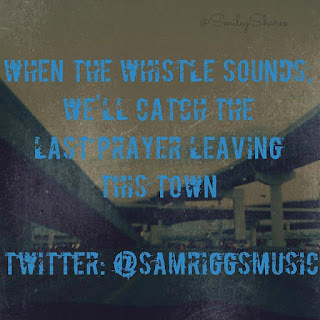 Although it was a difficult task, Sam Riggs has many amazing songs, and his lyrics are sincere and heartfelt. wish I could have gone to his show in Houston this past Friday, heard it was a blast. Maybe he will come down to South Texas soon. 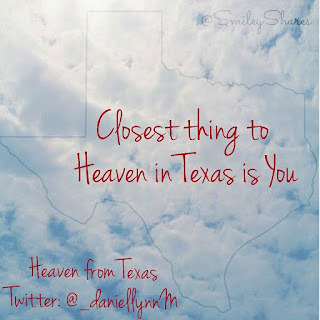 #FavoriteLyricsFriday come from "Heaven from Texas" by @daniellynnm. I don't remember how I found this song, I just know that I did. Apparently Daniel is from Houston (like me!) how did I not know anything about him is beyond me. Maybe it's because he just released his EP in April it has 4 songs. I LOVED THEM ALL. They have their own special touch but all are great.Remember there are more artist than what you hear on the radio. Sometimes those artist are like Daniel, artist that are great and have quality music and you could be missing out on them. Don't let that happen. Give his music a listen.Love it. Download it. Share it. 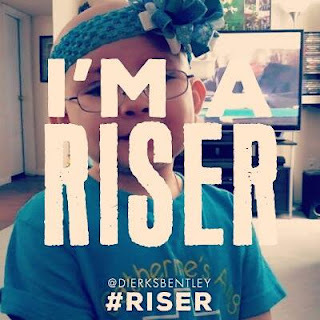 #summersongSunday has to be "Riser". This single is from the album Riser that was released over a year ago. 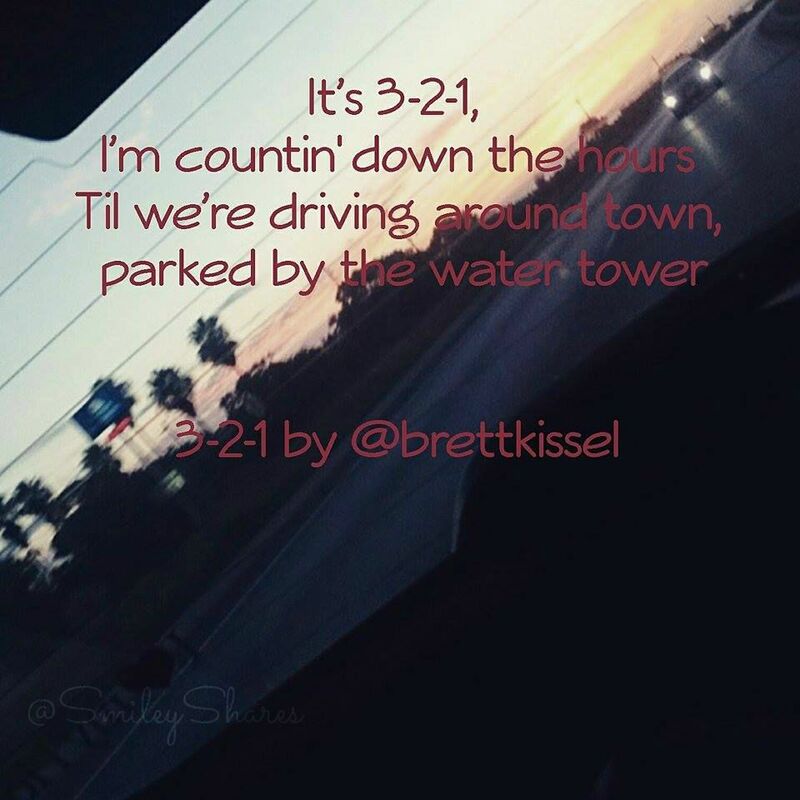 It didn't become @dierksbentley single until June 2015. Which was almost perfect timing .The last week or so of May was when we found out that the cancer on Little Izzy had returned. It's safe to say that this song fits her perfectly. Because she is a Riser. A #Survivor. Now when I do get to hear the song I cannot help but think of her. Thank you Dierks for an amazing song! Create your own lyric card here.What would be your favorite Summer Song? That is it for the Recap! Let me know what you think, if you have any suggestions of your own. More importantly, if you like a song, BUY IT. SHARE IT. Support the artist and those who have helped with the songs. Thank you, hopefully at least one of these songs reminded you of something that makes you smile. Labels: country , country lyrics , country music , favorite songs , texas country , weekly songs , What am I listening to? I like how the songs usually tell a story. So yes I do like country music. Although if you listen to all of the songs they are not all the same.